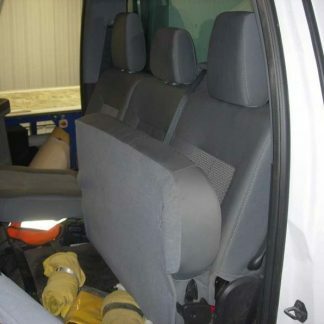 Complete set includes: 3 headrest covers, opening middle bottom cover, console and console lid cover. 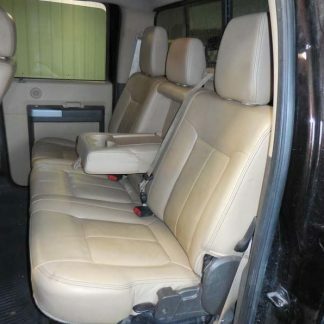 40-20-40 with opening upper and lower consoles, has small headrest and shoulder mounted seat belt on the console. Complete set includes: 3 headrest covers, middle bottom, console and console lid cover. 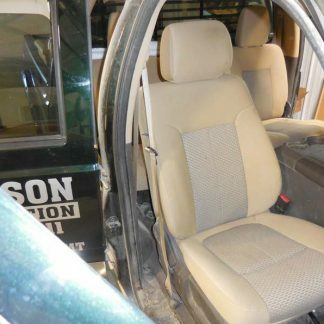 40-20-40 with three headrests, opening upper console, non-opening middle bottom, upper console has small headrest and shoulder mounted seat belt. 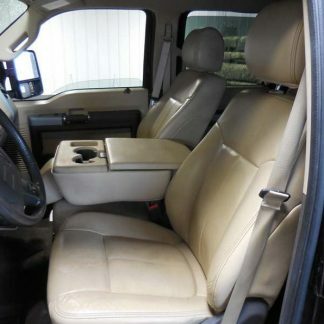 Equal sized bucket seats, adjustable headrests, no passenger locking center console. 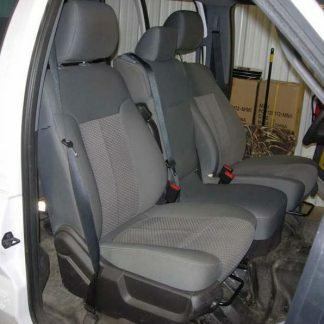 60% Driver side, 40% Passenger, three adjustable headrests. Has no armrest/console in center, see picture 2. For XL model.